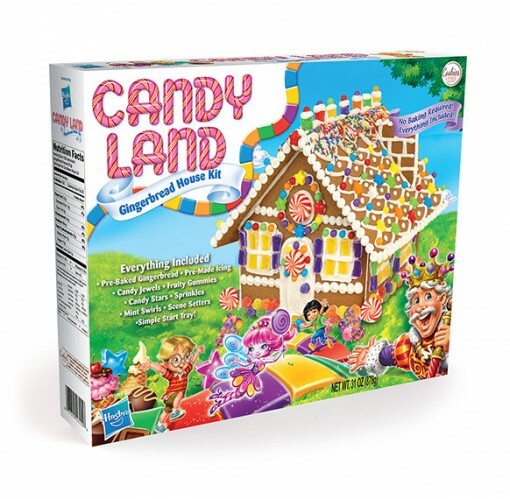 Your favorite board game from Hasbro, Candy Land is now a yummy gingerbread house kit! Everything is included in the kit, pre-baked cookie pieces, pre-made icing, fun scene setters and lots of yummy decorating candy! • A child’s beloved first game for 4 generations! • Has become a pop culture icon! • The perfect blend of family fun and sweetness to bring everyone together!